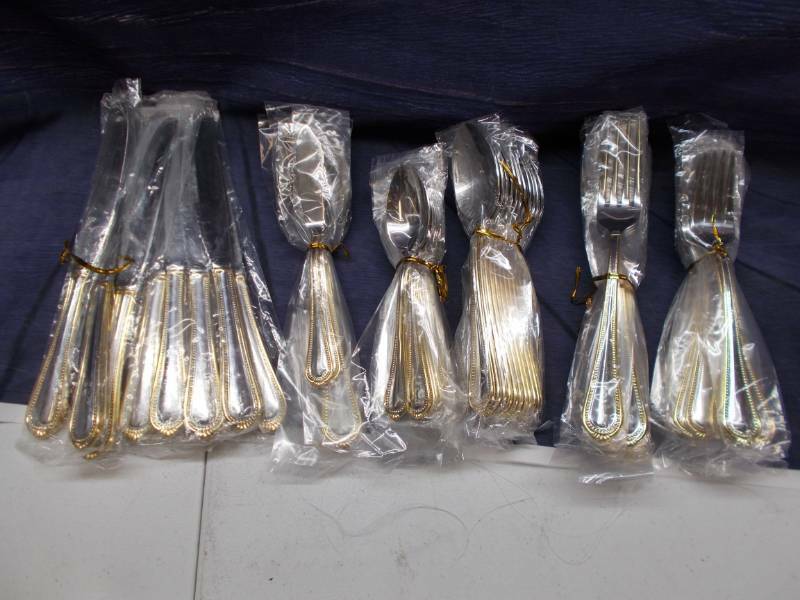 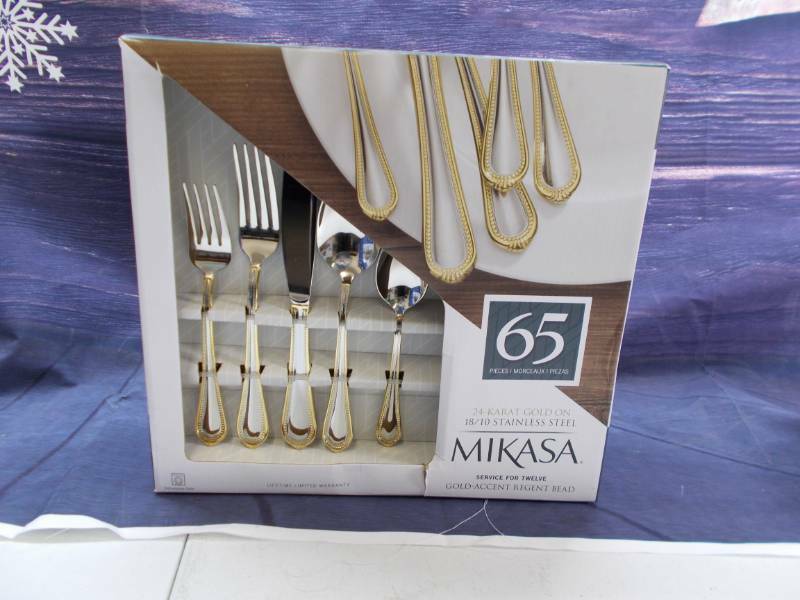 This is a silverware set that will make a great gift! 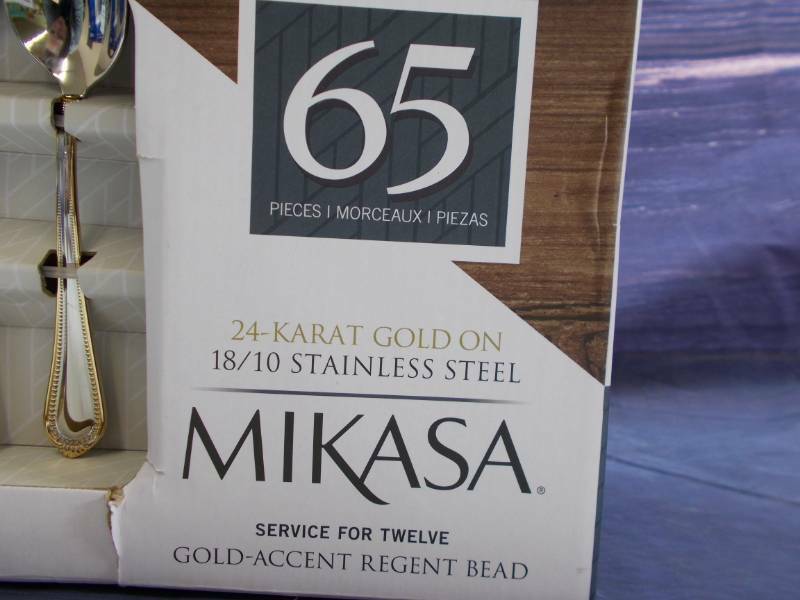 It's stainless still with the edges plated with 24k Gold! 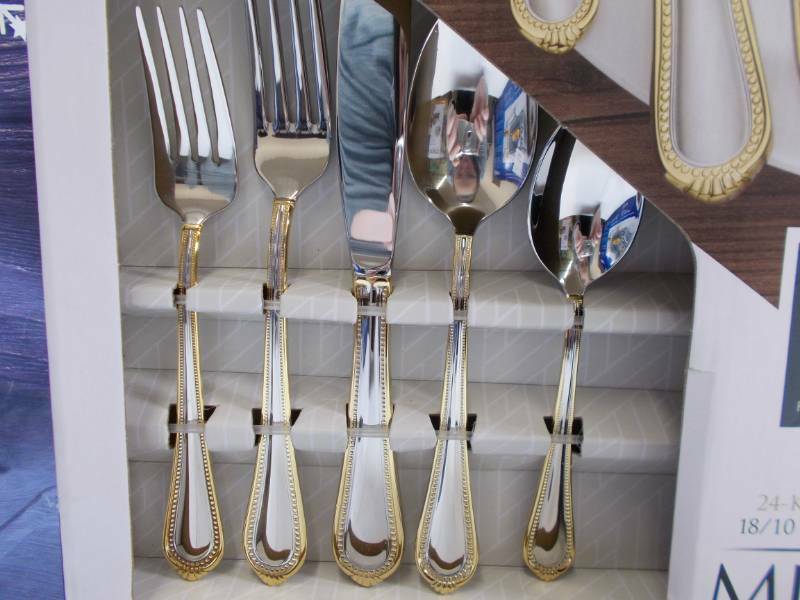 Great for special occasions or everyday use!